Established in 2006, the Carrom Dron Award is presented by the ICF at the Carrom World Cup to the coaches of carrom for their excellence & perfection in the coaching. It contains a trophy and a necktie. The highest award given to the sports person in India is the Arjuna Award; the Carrom Dron is a coaching-specific award named after Dronacharya, the Guru of Arjuna. 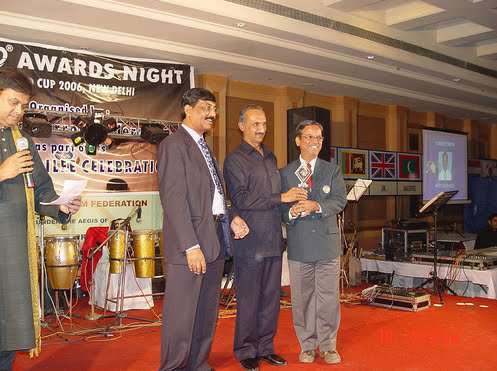 The award is open to carrom coaches irrespective of nationality.